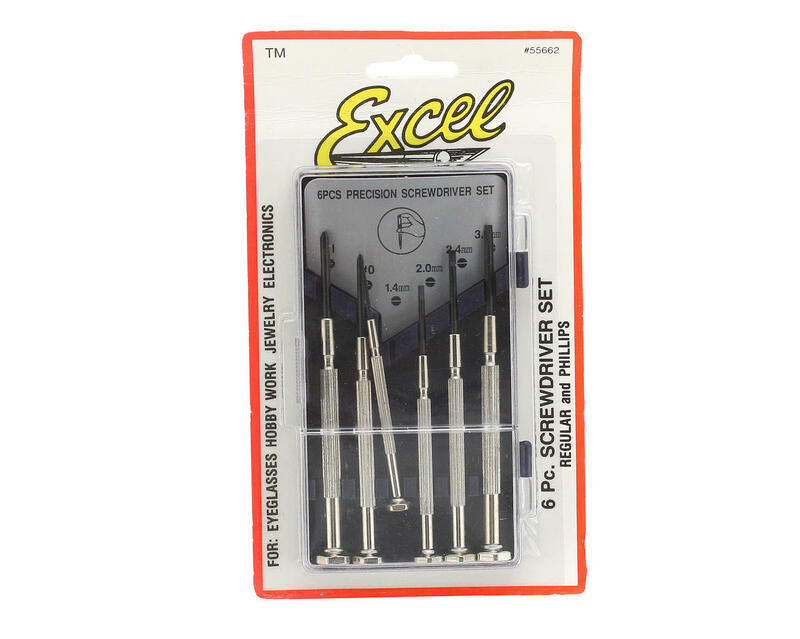 This is the Excel 6-Piece Jeweler Screwdriver Set. 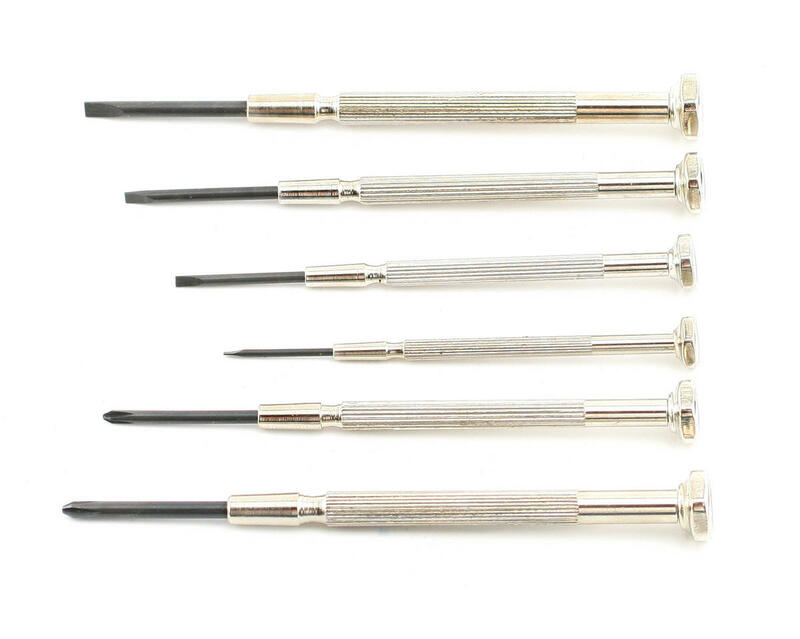 This set contains 4 flat screwdrivers (sizes 1.4mm, 2.0mm, 2.4mm and 2.9mm) and 2 phillips (#0 and #1.2) with chrome plated swivelheaded handles. It comes in a convenient plastic case. The blades are made of rustproof hardened alloy steel.